​After the announcement of ​Bruce Irvin signing with the Falcons became public early on Wednesday, there were a few other notes that Irvin was happy to shed some light on. Irvin was perfectly pleased to reveal that powerhouse teams like the ​Steelers and the Patriots both offered him more money to sign, yet the defensive end chose instead to go back to his Atlanta roots. ​​It's not often you see athletes make their final decision on a contract when they could've gotten more elsewhere. That's how much winning and competing in the ATL would mean to Irvin, though. Irvin was born in Atlanta and played high school football in the state of Georgia. In a way, it's like his career is coming full circle. With the Pats and the Steelers currently soaring at the top of their respective divisions, making the choice to go to an average Atlanta team right now was a bold move. ​​While many people believe that professional football players can lack passion due to the reimbursements they receive, you won't have to look any further than Irvin's signing Wednesday. 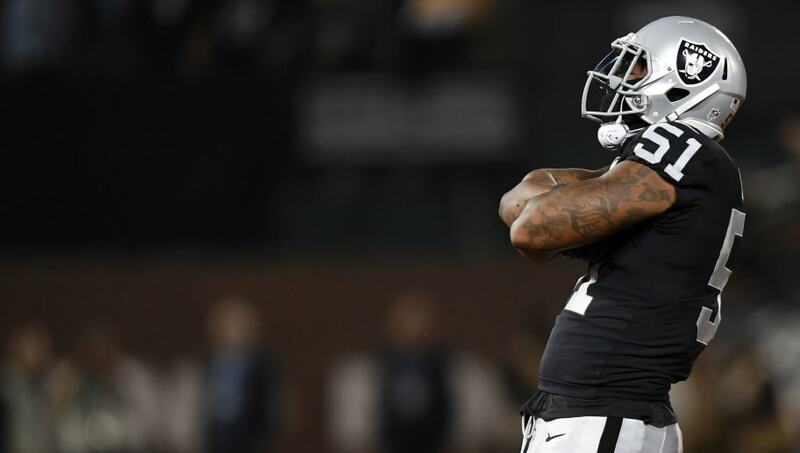 The former Oakland Raider will also have chance to showcase his skills immediately in Atlanta's next game on Sunday against the Browns.